Match your online apparel store with the perfect Outfit! The delightful looking responsive Joomla template is here to add a subtle glam to your fashion focussed eCommerce business. Outfit is a minimalist, responsive Joomla template and the most suitable template for a business that bases upon fashion and trends. 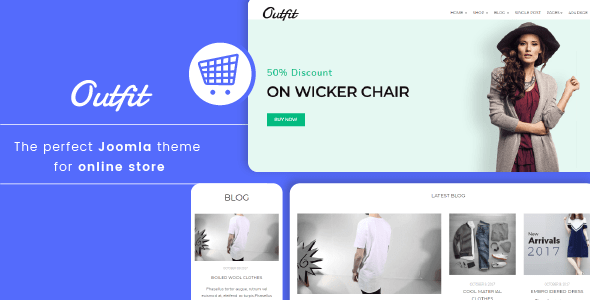 If you are looking for a template with an inviting look, exciting speed and fluidic responsiveness, Outfit serves your need. The look and feel of Outfit is tailor made to please your customers and maximize your sales. The template is built on robust T3 framework with Bootstrap 3 base. Enjoy the extreme flexibility that it gives. Outfit offers complete freedom for customization. Just hit buy, we shall take care of the rest!